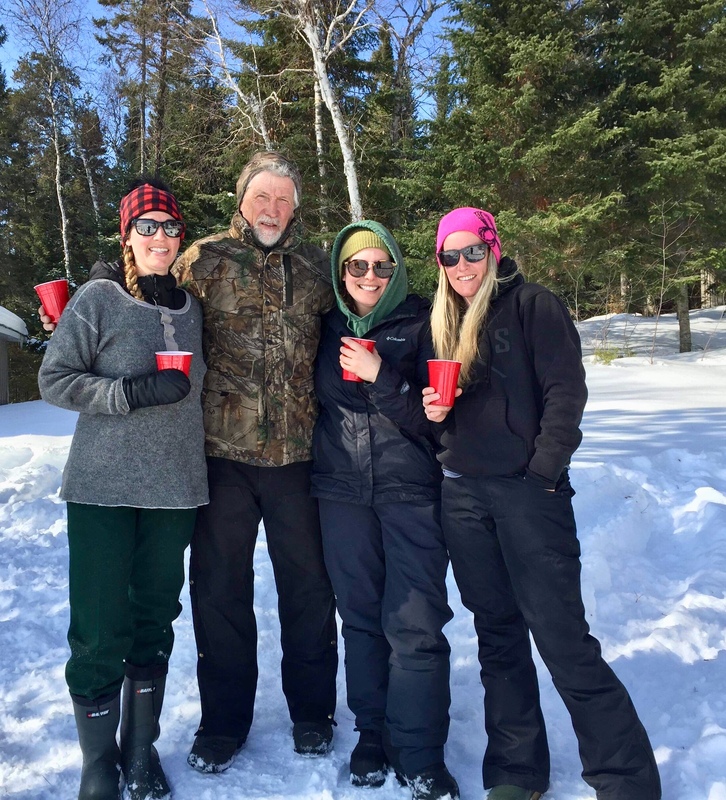 Sunday March 24, 2019 | Hyatt's Manion Lake Camp Ltd.
Allison, Alex and a few of their friends spent a few days at Mount Lake last week and Don joined them for a morning mimosa. Don has been slacking on picture of the day, because he just can't figure it out. Brenda will be home one week from today so you can expect pictures to start again then. Weather has been lovely the past week, and outlook for the next continues to be spring-like.